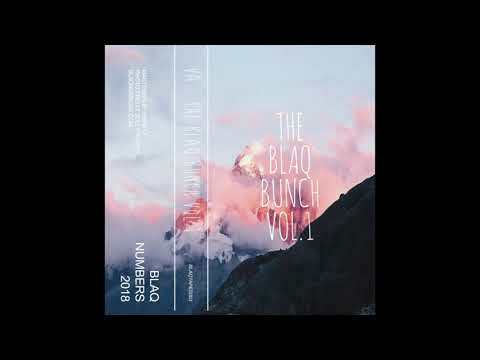 Germany based label Blaq Numbers is back with a monster 24 tracks compilation on cassette tape. Probably better known for the superb Interstate release on their sub label Whyte Numbers, the label has a certain taste for putting out mellow yet dancefloor effective deep house joints, qualities that have been shown again in the recent Jesse Bru’s release as well. However this release brings different flavors to the mix, adding a somewhat crescendo effect to the whole tape. Starting with low-bpm jams ranging between hip-hop instrumentals out of the 90s, funk induced songs and more soulful loopy tracks to slowly make its way up to what the label is best known for: floor-filling house music. Uniting the release is a predisposition for the heavy use of samples with a certain nostalgic feeling. Don’t expect a group of producers trying to reinvent the wheel, instead they blend themselves in the history of different genres, and they do it skillfully. Waiting for us near the end of the tape is the Ekorom track by E Davd. Following his release on Natural Science earlier this year he offers us here a cocktail of saturated drums, a squelching bassline, sci-fi inspired pads and an insane groove sugar coated with dubby delays and a pitched down voice. It’s easily the most “club use only” track of the tape and boy does it move! Get ready to find yourself in a stroboscopic universe with sweating bodies moving left and right as soon as that rollercoaster of a tune drops in a club near you. We couldn’t be more excited to premiere this laser-shooting piece of four-to-the-floor music and can’t wait to hear it in a late-night dance session. Seriously, it’s all about that bassline. You can now pre-order the cassette (limited to 100 copies) and the digi on the label’s bandcamp.